Gudani Raulisa is a 28 year-old Limpopo-born man currently residing in Durban. Gudani is a published author, father and mental health activist with a history of substance abuse and homelessness that began as a result of the death of his single mother in 2010, when he was a second-year student at the University of Venda. Gudani picked up his life on the streets of Durban by recycling cardboard, paper, plastic and metal, from where he was offered his first job working for a pharmaceutical retailer. 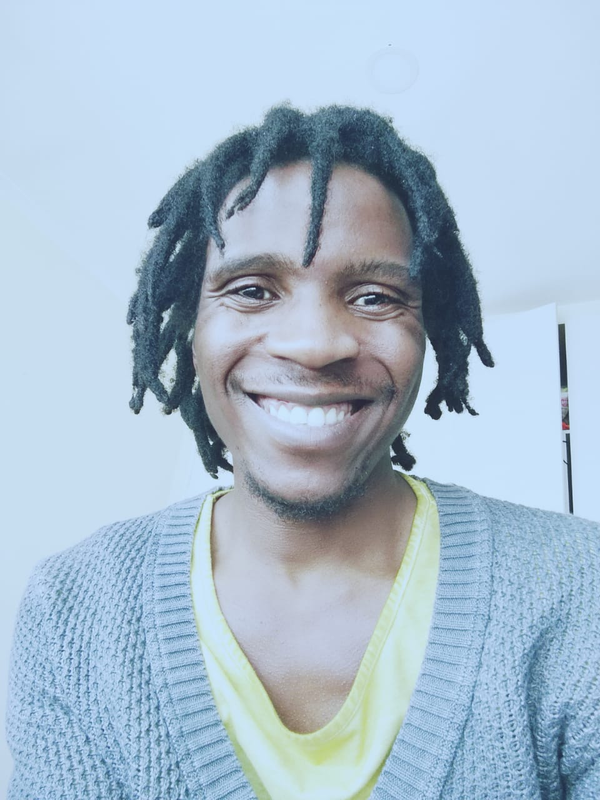 Since then Gudani has continued to improve his life, taking short courses online to boost his CV and diversify his creative portfolio.After meeting his partner via social media, Gudani temporarily settled in Gauteng in 2017, deciding to move away from all the triggers that might cause him to regress in terms of his personal and psychological development. He is now a father. He took up a job as a project manager for a small wireless networks infrastructure company in Sandton, where he worked until June 2018. Gudani is now a full time author and works on mentoring and supporting people with depression and substance abuse. Gudani has taught himself to design his own books, among other skills. He now works with a professional editor and has signed an agreement with a publisher which will see his work being launched internationally prior to the South African launch. He has also started a successful multimedia business and uses tools like social media to promote mental health and advocate for gender equality.Gudani has recently completed his international Professional Psychotherapy Diploma and founded a community mental health club for youths of colour aged between 18 and 35. We were privileged to have Gudani visit us at the Department of Architecture, TUT, on Thursday 30th January, 2019. Gudani generously shared with us his experiences with drug addiction and living on the streets of Durban. After the death of his mother, Gudani’s life took a negative turn and he struggled with depression and grief. He went into rehabilitation in 2011. Having been off drugs for a while, he made the decision to leave behind everything that might cause him to descend into addiction again. He made a conscious decision to go to Durban saying that if “I was going to be homeless, I might as well be somewhere warm”. Indeed, Gudani’s story seems to be one of good decision-making at critical times of his life. It also seems to be a life that is interspersed by people who supported or influenced him in various ways. He ended up living on the streets where all his possessions were stolen, including his identification documents. He started working in the Addington and Point areas in Durban, gathering recyclable waste and selling it at a collection centre. The money he was able raise daily was sufficient to get him a meal and a bed per night. He was subjected to great harassment – this is alarming considering the fact that he was struggling to survive and then having to deal with people’s negative perceptions of him as someone who lived mostly in the streets; his dire situation was therefore made worse. He was therefore greatly moved when he met Tasmi Quasi who worked for Asiye Etafuleni at the time. Tasmi was at the recycling collection centre; she acknowledged him, greeted him and gave him her business card. He lost the card that same day; months later, Gudani saw a sign for Asiye Etafuleni and recognised this as the organisation where Tasmi worked. He went to see her and she became a very positive influence in his life. He came to know many personalities on the streets of Durban, and in his previous stay in rehabilitation in Port Elizabeth, that ultimately influenced his writing and the characters that appear in his stories. He tells the story of a gentle and much-loved man called Baba Afrika – this unique person supported him and many others. Baba Afrika would gather waste and never fell asleep until his day’s work was done; he would then collapse anywhere he happened to be until he started his work again the following morning. He also told us about a friend who had committed suicide, an experience that almost sent him into another spiral of addiction. During this time, Gudani had managed to have his identification documents re-issued and he was invited to apply for a job in a near-by store. He was employed in a very basic position and was gradually promoted to a higher position. We are humbled and honoured to have had this interaction with Gudani and to have insight into the lives of people we see on the streets, dragging or pushing trolleys packed with recyclable material, as they make their way to depots to sell what they have gathered. Putting real faces to those waste recyclers and to the homeless, and allowing us to see their struggles, may well become an important part of Gudani’s calling.